College ball is always great to see some rivalry between teams and universities, and this week’s betting picks have a little of everything. With a lot of games happening on Tuesday, there is no time to waste to see which teams will most likely win and continue to move forward, or be left one more game behind. Let’s see if the Wildcats can overcome the huge point spread, or if Ole Miss can regain some of their old flair back. This is a long time rivalry between these two universities, and each game allows one team or the other to have gloating rights. The Wildcats will meet the Boilermakers in Mackey Arena, and with the odds stacked against them, they may need a lot of talent to win. 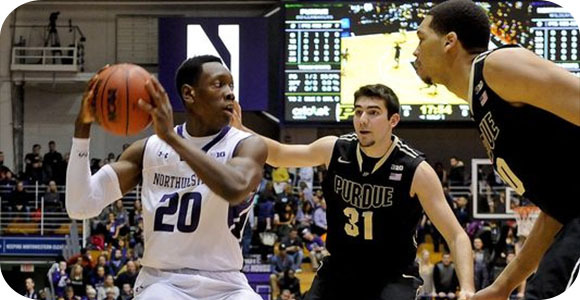 Northwestern has lost six of their last eight games, while Purdue has won six of their last nine games and look primed to keep that streak going. Keep an eye out for the Purdue playmakers with A.J Hammons (14.5 ppg and 8 rebounds) and Vince Edwards (10.2 ppg and 3.1 assists), as they will surely be the force behind the scoring. The Northwestern bench isn’t bad, as they have Tre Demps (14.8 ppg and 3.5 rebounds) and Bryant McIntosh (14.3 ppg and 6.7 assists) on their side, so it will be an interesting match. Ole Miss will be facing Texas A&M on Tuesday and it doesn’t look good for the Rebels. Both teams have not done too well so far, each losing four of their last eight games, but the Aggies would need a win in order to break their four-game losing streak. Both teams are quite evenly matched for this game, but Ole Miss does have one advantage at the free throw line; which could give them a second half advantage. They have Stefan Moody (23 ppg and 4.2 assists) and Sebastian Saiz (12.2 ppg and 9.3 rebounds) going up against the Aggies’ Jalen Jones (16 ppg and 6.9 rebounds) and Danuel House (15.8 ppg and 2.5 assists). It will be a close match, but the betting pick may not be the one you expected.